Moving home or office in the Melbourne metro area? Need strong packing boxes for storage or moving? Then you need Hire A Box moving boxes. Hire a Box delivers moving and packing boxes anywhere in the Melbourne metro area and could either deliver them to you today or by tomorrow morning! Did you know we deliver 6 days a week in Melbourne? Simply order online and choose your 2 hour delivery time slot so you know exactly when your boxes will arrive direct to your door! Hiring boxes is the most cost-effective option as long as you have the boxes collected within the 3 months maximum hire period. If you need to keep your boxes for longer than 3 months or if you are moving to a suburb outside of the Melbourne metro area then it is cheaper for you to buy boxes instead of hiring them. When you rent our moving boxes in Melbourne you typically save about 30% on what you would pay a removalist for their boxes. Our boxes start from $2.40 to hire and from $3.30 to buy. Our Australian-made packing boxes are extra strong, made from high-quality cardboard and won’t break or fall apart when you fill them up. You can choose to hire or buy your packing boxes. Hiring means we will pick them up when you finish with them so you don’t have to worry about getting rid of them. It is also better for the environment. When buying you can buy new or second hand packing boxes. Call up in the morning to see if we can deliver your storage boxes the same day, or book online for next day delivery. Simply choose a convenient 2 hour delivery window. Why not join in with the rest of the community at saving the environment by recycling and reusing our packing boxes in Melbourne? You can also save on average 30% by using our hire boxes as opposed to buying boxes from a removalist or packing supply company. Because we don’t use couriers you can expect a personal service from our experienced Melbourne staff. You have 3 options with our moving boxes in Melbourne: you can hire them, or you can choose to buy new or second hand moving boxes. 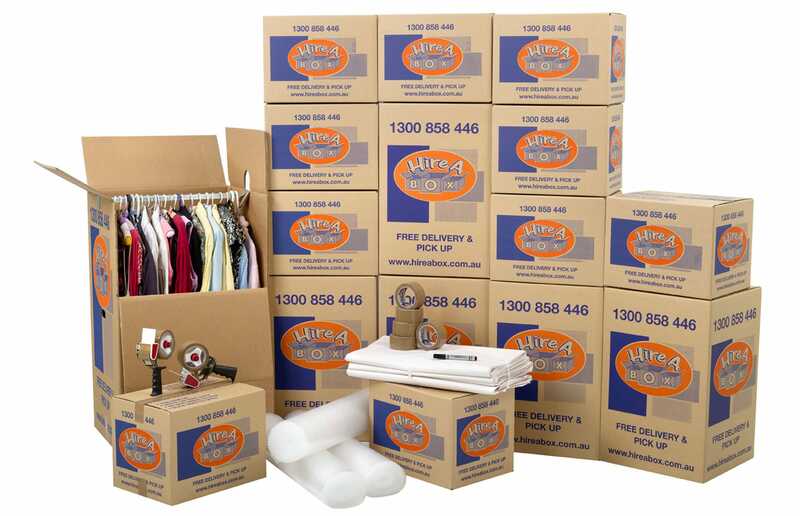 Order $65 worth of hire items and get your packing boxes in Melbourne delivered for free. If you run out of packing boxes, just give us a call and a free delivery will be given for the top up. When you have finished with the boxes, simply give us a call and we will collect them for free. Our rental packing boxes can be kept for up to 3 months, so there is no need to rush packing or unpacking. Need them longer? Not a problem, give us a call to discuss the various options available for you. Want to learn more or see what our customers have to say? Why not read our facebook reviews! Not only do we stock the most commonly sought after moving and storage boxes in Melbourne, we also have a range of good quality extras such as bubble wrap, wrapping paper, strong packaging tape, and tape dispensers to make packing quick and easy. Ordering online can be done 24 hours a day and is easy and secure. Our order form is easy and quick to complete and we use SSL secure payment gateway technology for your credit card information so you can pay with a Visa or MasterCard worry free. Use our moving services and receive an additional 10% rebate on your Melbourne moving boxes! As Hire A Box is part of the Hire A Mover network, if you move with Hire A Mover, not only do you get a cost-effective and professional moving service, you can also claim a 10% rebate on what you spent on the packing boxes. 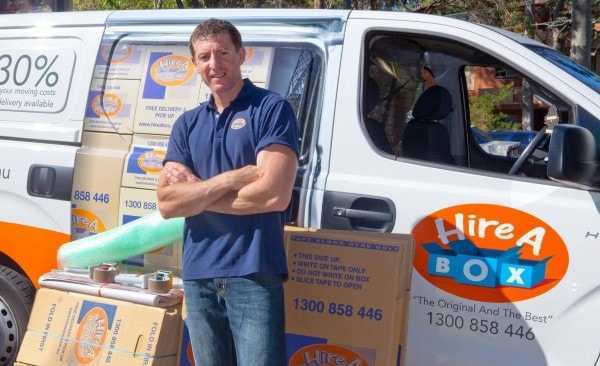 Hire A Mover is a sister company of Hire A Box and are a professional Melbourne removalist company. When buying the boxes simply tick the box asking for a removal quote and our experienced team will give you a call to arrange this for you. 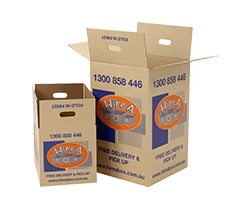 So whether you are living in Albert Park, Berwick, Brighton, Carlton or anywhere else in the Melbourne metro area, Hire A Box can deliver packing boxes to your front door quickly. Start packing tomorrow by ordering your boxes online now! Alternatively, give us a call on 1300 858 446 to see if we can deliver your moving boxes today! My experiences with Rod from Hire a Box and Heather and Liz who worked at my home from Hire a Packer were truly wonderful. They were all, courteous, worked like trojans, extremely professional, gave me really good tips based on their experiences and were quite simply really delightful, polite people to boot!It was an enjoyable experience from the time I first made contact to the end. Fast, efficient and very organised. The feedback and regular update contacts were a very pleasant surprise and I couldn't believe how friendly and prepared everyone was - far more so than me, thank goodness!I have absolutely NO HESITATION in recommending The Hire Group for it's services and will definitely be using them again - in whatever state I'm in.I can't thank you and all the amazing team behind this organisation enough - it was a genuine pleasure doing business with you.Congratulations to all involved - you should feel proud to work for such a professional, polite, well organised and efficient company - the people are fantastic, the service is amazing and the follow-up is exemplary!Encore! 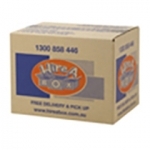 We needed boxes urgently in Caulfield and found Hire a Box on the internet. The driver turned up on the same day, he was very polite and helpful. Excellent products, strong boxes, I would recommend to others. Very professional service. Rod the delivery man was an absolute pleasure and took the time to assist my pregnant wife with an explanation on best use of the boxes and some moving tips. Thanks Rod. Great service! I've used hire a box twice now and still as good as it gets. Cheers! We used Hire a Box for the first time and were absolutely delighted with the service. Choosing our box requirements online was easy, an delivery of them was prompt. Furthermore, Rod was so helpful and friendly and gave us heaps of advice from his extensive experience in the industry, not just on packing boxes but also on our impending interstate move. He even took the tim to show us how to correctly prep the boxes, what to put in each size, how to label them, and provided us with a manifest template. The customer service was simply excellent. I had to travel from Adelaide to Melbourne to pack up a deceased estate, having limited time to get it done in I hadn't realised that the Tuesday when I needed the boxes was Melbourne cup day. I placed a request on my order to see if they could deliver on the Tuesday and they called and arranged it for me. Incredibly friendly, great advice on the best way to assemble and use the boxes and even though I've moved many times I learnt some new tricks. Good quality boxes at very reasonable prices. I can highly recommend using Hire A Box.